Pink moss flowers spreading all over like a pink carpet can be seen at Takinoue Park, Takinoue-cho, and in Higashimokoto. 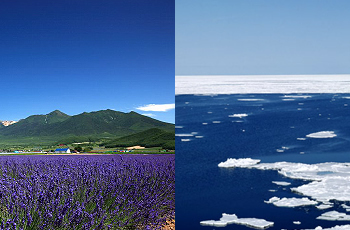 Furano and Biei are attractive areas, representing Hokkaido&apos;s unique vast scenery. In Shiretoko area, which was designated as a world heritage site, you can enjoy both the mountains and the ocean. 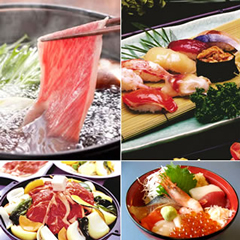 [（Departures from April 2019）Hokkaido Restaurant Plan] All-you-can-eat Mongolian BBQ, Snow Crab & 3-piece Sushi Course. Hokkaido is full of charm: nature, gourmet food, various activities, and hot springs. You will definitely find something special to suit your taste during your trip. Hokkaido abounds in fascinating nature and beauty in every season. 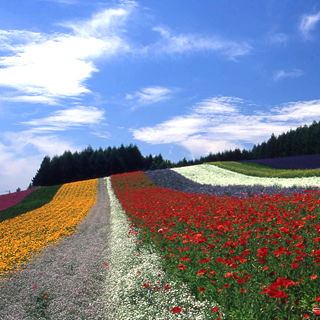 Furano and Biei are picturesque hilly districts with beautiful contrasts of colorful flower fields and grain fields. 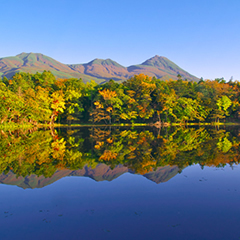 The Doto (eastern Hokkaido) area is well known for the natural beauty of its mountains and ocean, and is home to Shiretoko, a World Heritage site. 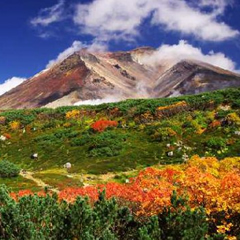 Mount Asahi of the Daisetsuzan Volcanic Group often makes the news as the earliest place in Japan where the leaves change color, usually during the end of August. 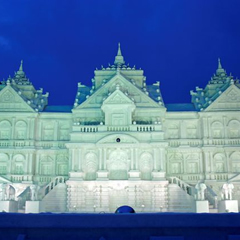 In winter, the largest event in Hokkaido is the Sapporo Snow Festival. Here, you can see incredible statues carved out of the silvery white ice and snow. 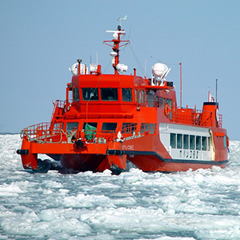 In Mombetsu, you can ride the Garinko II, an icebreaker sightseeing boat. Come experience the majesty of Hokkaido’s four seasons for yourself! Garden Path", a 250 km long route connecting Hokkaido’s eight representative gardens. 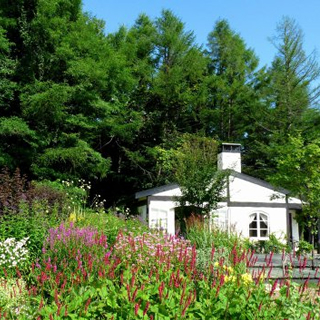 Each garden in Hokkaido has its own characteristics. "Ueno Farm" is full of the charms of Hokkaido’s unique plants. "Daisetsu Forest Garden", which celebrated its grand opening in April 2014, creates breathtaking scenery with seasonal flowers. It is an attractive garden which makes you feel like visiting it each season. Japan’s representative flower, the cherry blossom, when in full bloom at Japan’s first western-style castle, Goryokaku, and along Nijukkan-doro in Shin Hidaka-cho, offers must-see breathtaking views. Pink moss flowers spreading all over like a pink carpet can be seen at Takinoue Park, Takinoue-cho, and in Higashimokoto, Oozora-cho. Enjoy the beautiful flowers as Hokkaido proudly emphasizes on its flower tourism. 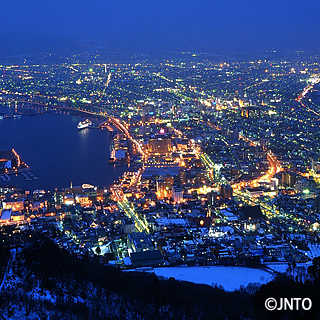 Hakodate, with its abundant charms, is one of the most famous sightseeing cities in Japan. A must-see destination is the night view you can enjoy from Mount Hakodate, which is one of the three major tourist spots with spectacular night views in Japan. The exotic bay area, which used to flourish as a northern gateway, with red brick warehouses, churches, western-style buildings, and nostalgic hills also adds charm to Hakodate. Furano and Biei are attractive areas, representing Hokkaido’s unique vast scenery. 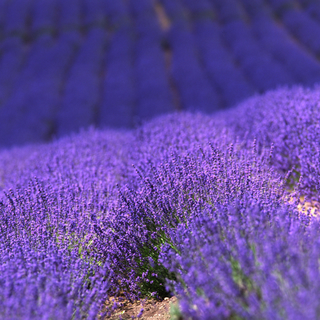 Their lavender fields are best to see at the end of July. Also, a blue pond with magical blue water called “Biei Blue” is very famous as a new power spot. 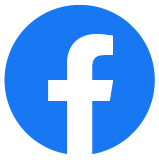 The attractive points of a trip in Doto are its nature and gourmet food. In Shiretoko area, which was designated as a World Heritage site, you can enjoy both the mountains and the ocean. 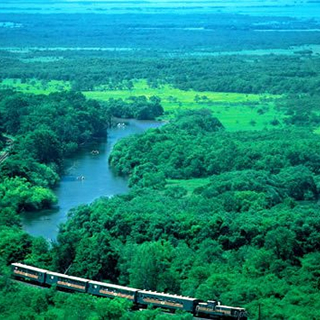 From Kushiro Marsh Norokko-go (a slow tram), which runs through Japan’s largest marsh, “Kushiro Marsh”, you can enjoy the views of the marsh and the meandering Kushiro River. Mount Asahi is Hokkaido’s highest mountain with an elevation of 2,291 meters, and is known as "Hokkaido’s Roof." Because of its great height, the leaves here change colour around the end of August, with Japanese rowan being the first trees to change. Located in the north of Hokkaido, the World Heritage Site Shiretoko National Park blossoms into colour in mid-September. Mount Rausu and the other mountains of the Shiretoko mountain range begin to change from the top down, and seeing these mountains is one of the biggest reasons to come in autumn. The other notable spot is by the shores of the Shiretoko Goko Lakes, surrounded by virgin forest and tranquilly reflecting its endless beauty. Hokkaido’s representative seafood is crab. There are various types of crabs including horsehair crab, red king crab, snow crab, and blue king crab. Hokkaido has its unique method to season Ramen noodles to overcome its frigid climate. At Washo Market, one of Hokkaido’s long-established markets, you can choose your favorite seafood toppings and put them on rice to make your own "Katte-don". This is highly recommended! Sapporo is the heart of Hokkaido, and so it comes as no surprise that it hosts one of the largest and most prominent events in Hokkaido, the Sapporo Snow Festival. In early February, over two million domestic and international tourists visit Sapporo to see a drama of snow and ice unfold across the 1.5 kilometer stretch of Odori Park. The ice floes of the Sea of Okhotsk are a poem, written on the frozen waves. The icebreaker, Garinko II, departing from Monbetsu harbor, can take you to see them, but it offers more than just views of the wintry sea. When you ride the Garinko II, you can feel the ice reverberate in your bones as it is smashed and pulverized by the might of this unique ship. And who knows, you might even catch a glimpse of a seal or the Steller’s sea eagle.